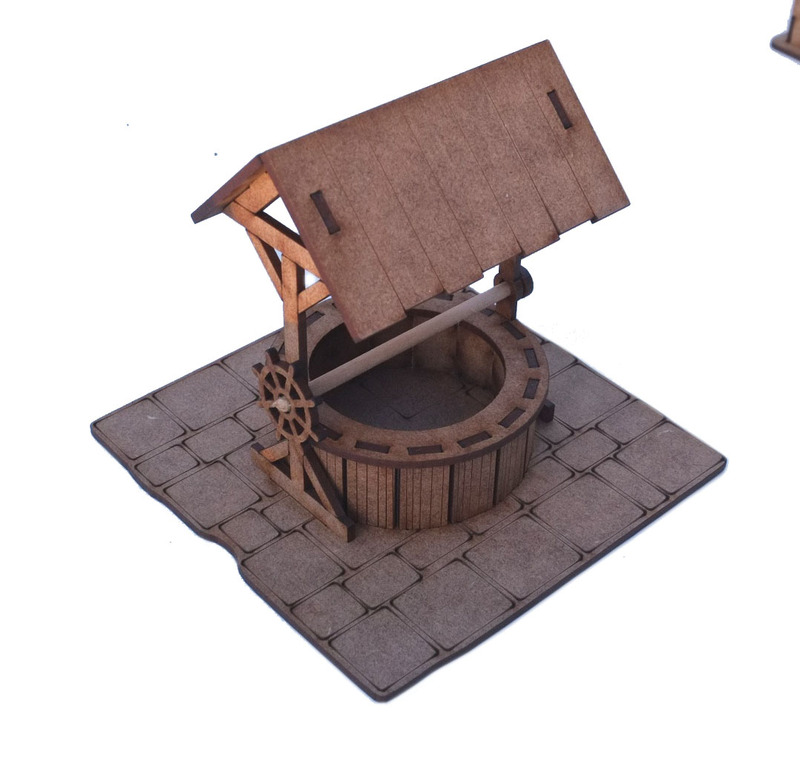 Our village well is designed to enhance your fantasy or medieval village or town layout. The well consists of a round timber body with a timber roof supported on two uprifgts. The well also has a working winding mechanism with turning wheel. The well is set on an engraved slabed area. 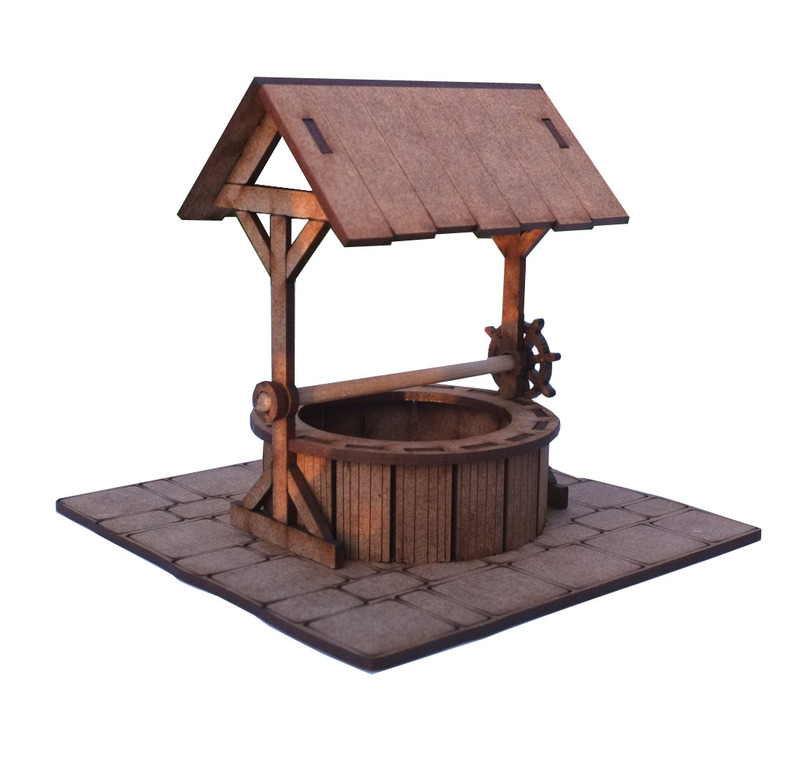 The well measures 75mm x 60mm x 90mm high. The base measures 110mm x 110mm. The kit is suppied unassembled and unpainted.